Ukraine is on the final stage of a very intense presidential campaign. It officially began on 31 December last year and the first round of elections was held at the end of last month. The choice has been narrowed down from 39 candidates to 2. On 21 April, Ukrainians will choose between a fresh face in politics, the showman, comedian and actor Volodymyr Zelenskiy, and the incumbent president Petro Poroshenko, who has ruled the country for the past five years. Poroshenko was elected in snap elections after the previous president was ousted following the dramatic events of the “Maidan Revolution”. Elections provoke heated debate in Ukrainian society, and opinions often divide families and the closest of friends. Yet sometimes they bring families back together as voters travel back to their birthplace to cast their ballots. 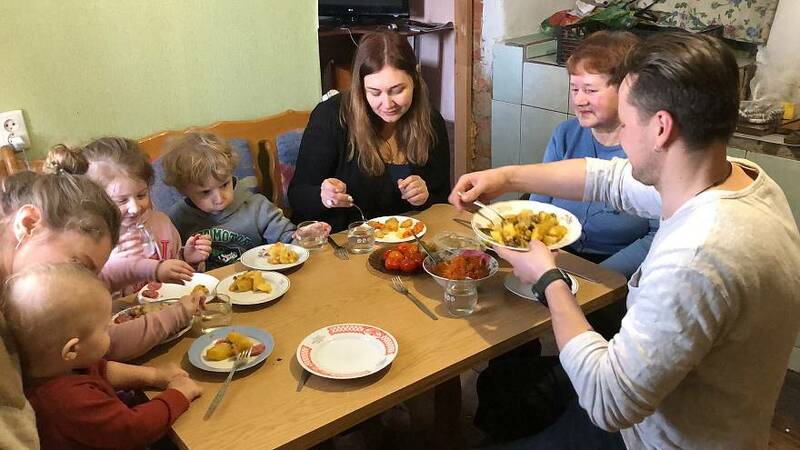 Euronews spent a day with a Ukrainian family who are doing just that.